Quiz: Try again! Which two things below could contain things? A bee and a flyswatter. A baseball card and a piece of damp paper. A jar and a water bottle. When something is contained it is being held inside a vessel of some kind, such as a jar, box, or can. Container Contains Rain The word "rain" is contained within the word container, although it has splashed about a bit! When you “hold [things] together” you contain them, such as “holding together” fish in an aquarium. 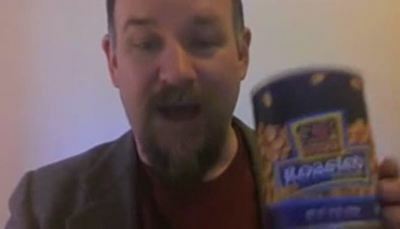 Lawrence Lee: May Contain Peanuts Warning Do you think this can of peanuts contains peanuts?